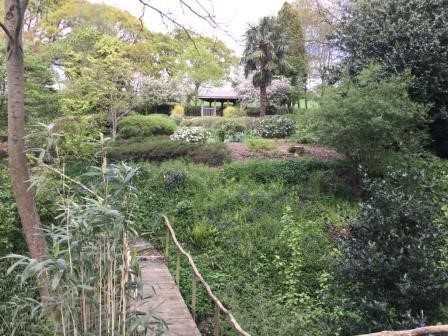 The garden was started in 1947 and has been developed ever since. Trees and shrubs are well established – some of them rare and unusual. The garden has never been professionally designed. It has grown and changed to suit the owners’ tastes. It aims to provide colour and interest all the year. There will be Teas on the Terrace and plants for sale. This is a glorious, five acre garden in a wooded valley complete with stream. Due to its steep paths and steps, wheelchair access is limited to the terrace from which there are fine views of much of the garden Entry £5 – under 14s Free. Dogs on leads welcome.